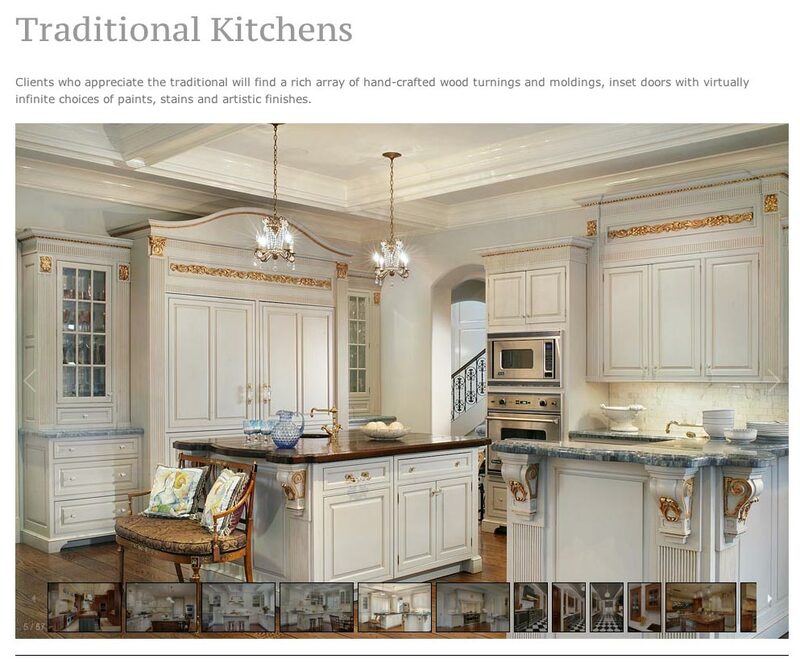 Designing and building kitchens and bathrooms as unique as you. 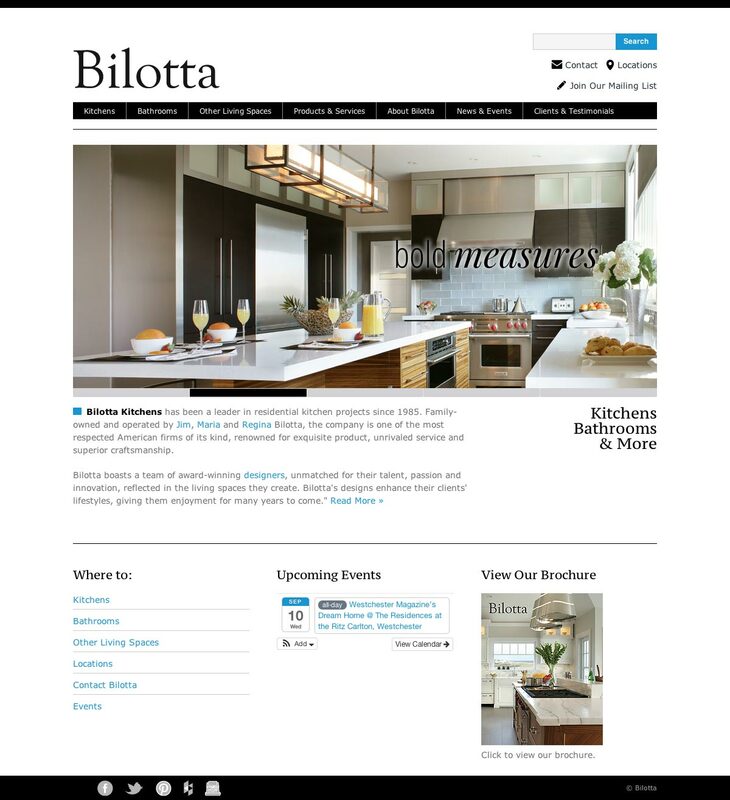 Bilotta is a family-owned residential construction business specializing in high-end bathrooms and kitchens in the tri-state region. I was tasked with the responsibility of translating their craftsmanship to a digital experience. Building upon their existing print collateral, I designed the website to reflect the established branding from their brochure – the use of carefully balanced whitespace with large photography. Upon entering the site, visitors get a sense of the quality and care that goes into each build. 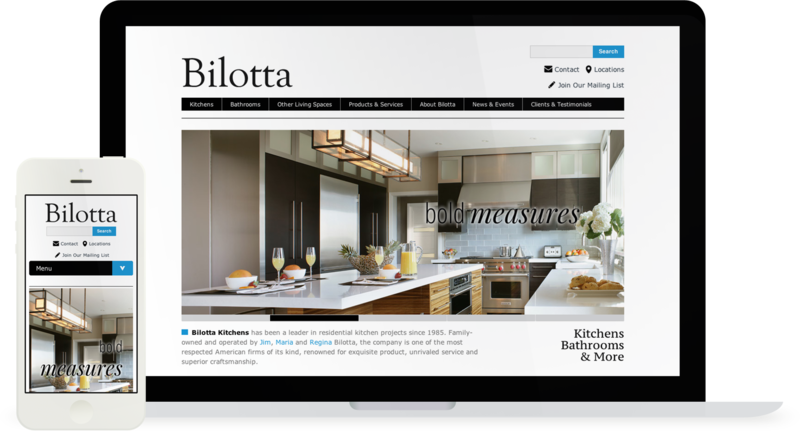 The user experience of the website becomes a part of Bilotta's brand. 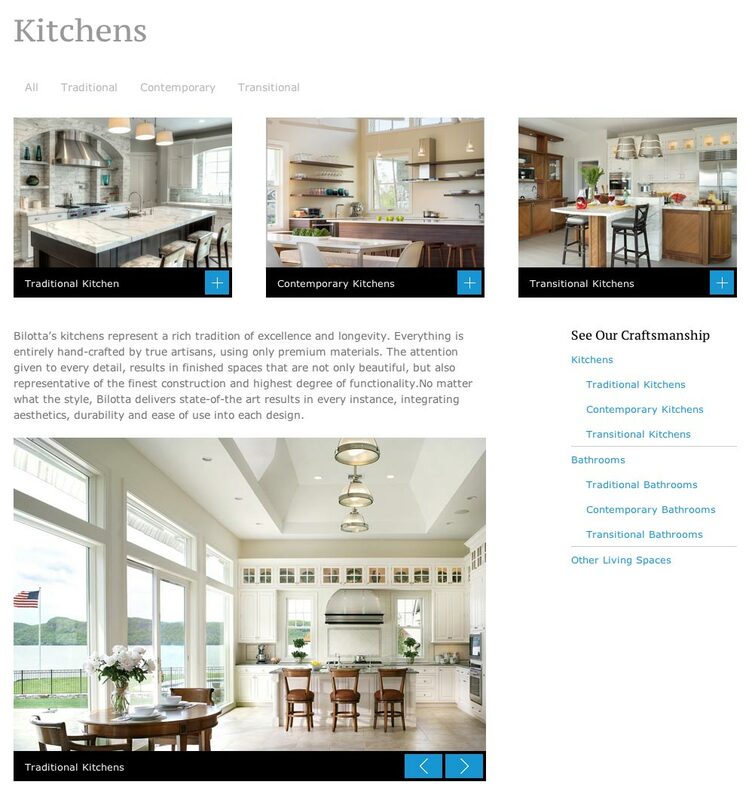 After the website was complete, I continued working with the client to build two email templates. 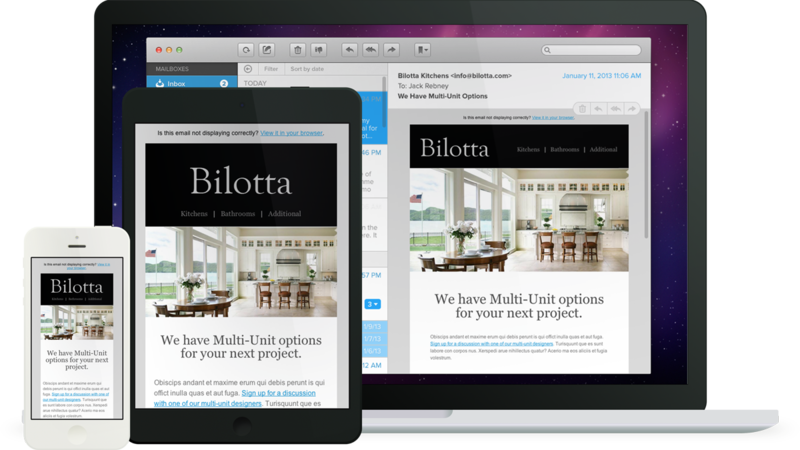 Since mobile devices are currently used most to open emails, it was important to build mobile-friendly email templates.